Hong Kong–Malaysia relations (Chinese: 香港與馬來西亞的關係 Xiānggǎng yǔ mǎláixīyà de guānxì; Malay: Hubungan Hong Kong–Malaysia; Jawi: هوبوڠن هونج كونج–مليسيا) refers to bilateral diplomatic relations between Hong Kong and Malaysia. 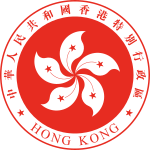 Under the "One Country, Two Systems" law, the People's Republic of China is responsible for diplomatic and defence affairs of Hong Kong. However, Hong Kong enjoys significant autonomy in economic, trade, financial and monetary matters. Malaysia maintains a consulate general office in Hong Kong. As a Special Administrative Region of the People's Republic of China, Hong Kong is formally represented in Malaysia by the Chinese Embassy in Kuala Lumpur. Hong Kong's trade relations with Malaysia are handled by the Hong Kong Trade and Development Council in Kuala Lumpur. Malaysia did not establish diplomatic relations with the People's Republic of China until 31 May 1974. Malaysia has a Consulate General in Wan Chai. This was established on 2 July 1971. As Hong Kong was then under British rule, this was then known as a Commission, as were the missions of some other Commonwealth countries. Following the transfer of sovereignty in 1997, the Commission was renamed the Consulate General, and the last Commissioner became Consul-General. In 2010, Malaysia became the 10th largest trading partner for Hong Kong with the total trade increased from HK$87.2 billion in 2009 to HK$110.5 billion. These total trade was later increase to $14.65 billion in 2013. Malaysia also became one of the 18th largest investors into Hong Kong in 2009, with an Inward Direct Investment (IDI) stock of HK$16.5 billion, while Hong Kong investment to Malaysia worth to HK$43.9 billion. In 2010, Hong Kong became the third largest foreign direct investment (FDI) in Malaysia with a total investments of RM2.77 billion in 11 projects comprising nine new projects and other two expansion/diversification projects. There are 7 regional headquarters, 19 regional offices and 33 local offices which been set up by the Malaysian companies in Hong Kong. An agreement on double tax avoidance and prevention of fiscal evasion was signed in 2012. As of 2012, the number of visitors from China (including Hong Kong) to Malaysia for medical treatment has doubled, from 7,500 in 2010 to 15,000. ^ a b c d "Hong Kong - Malaysia Trade Relations". Trade and Industry Department, Hong Kong. July 2011. Retrieved 23 May 2014. ^ "Official Website of Consulate General of Malaysia, Hong Kong". Ministry of Foreign Affairs, Malaysia. Retrieved 18 April 2017. ^ "Home". Embassy of the People's Republic of China in Malaysia. Retrieved 14 September 2017. ^ "HKTDC Kuala Lumpur". Hong Kong Trade and Development Council. Retrieved 14 September 2017. ^ "China, Malaysia work for greater cooperation". People's Daily. 31 May 2004. Retrieved 14 September 2017. ^ "Official Website of Consulate General of Malaysia, Hong Kong". Ministry of Foreign Affairs, Malaysia. Retrieved 23 May 2014. ^ "Official Website of Consulate General of Malaysia, Hong Kong – History". Ministry of Foreign Affairs, Malaysia. Retrieved 23 May 2014. ^ Christine Genzberger (1994). Hong Kong Business: The Portable Encyclopedia for Doing Business with Hong Kong. World Trade Press. pp. 266–. ISBN 978-0-9631864-7-8. ^ "In the swing of things". Embassy Networking for Diplomats. 2010. Retrieved 14 September 2017. ^ Cheryl Poo (14 March 2014). "Hong Kong the top FDI source for Malaysia". The Star. Retrieved 23 May 2014. ^ "Malaysia International Trade and Industry Report – Foreign Investments (Hong Kong SAR)" (PDF). Ministry of International Trade and Industry. 2010. p. 27. ISSN 0128-7524. Archived from the original (PDF) on 13 September 2013. Retrieved 23 May 2014. ^ "Hong Kong signs tax treaty with Malaysia". Inland Revenue Department, Hong Kong. 25 April 2012. Retrieved 23 May 2014. ^ "Malaysia (Comprehensive Double Taxation Agreement)". Inland Revenue Department, Hong Kong. 25 April 2012. Retrieved 23 May 2014. ^ "Malaysia Healthcare Travel Council anchors itself in Hong Kong". InvestHK. 29 August 2013. Archived from the original on 22 May 2014. Retrieved 23 May 2014. This page was last edited on 5 April 2019, at 13:21 (UTC).